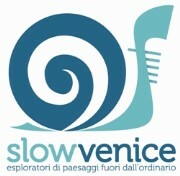 SlowVenice employs authorized environmental naturalistic guides with more than twenty years of experience in this field. Our guides know deeply the region and can take you to an unforgettable experience through all the senses in the particular environment of the lagoon. We tell the history and local culture in Italian, English, German and Spanish. We accompany visitors through the city to see the beauty of Venice and discover the hidden corners of its islands and natural valleys.